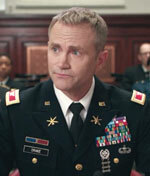 Lee Tergesen plays Col. Eugene Drake in the second season of this American political satire TV series on Amazon.com. The show stars John Goodman, Clark Johnson, Matt Malloy and Mark Consuelos as four Republican U.S. senators who share a house in Washington, D.C. The show is helmed by Doonesbury creator Garry Trudeau. The entire second season, which features Lee in three episodes, was released on Amazon.com on Oct. 24, 2014. 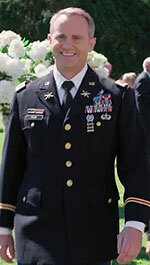 Col. Drake has served his country with pride for many years. When he finally came out to his commanding officer, the man shook Col. Drake's hand and wished he had as much courage as he did. 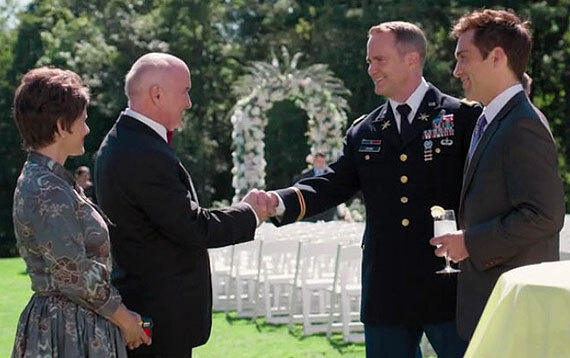 It is with this same courage the Col. Drake defends the rights of LGBT soldiers everywhere. 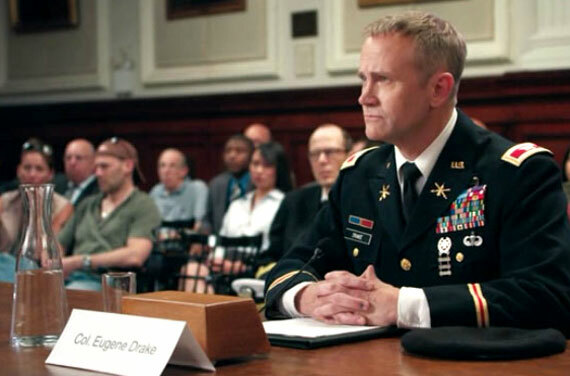 Col. Eugene Drake (Lee) is testifying before Congress, speaking in support of updating military rules to include transgender troops. 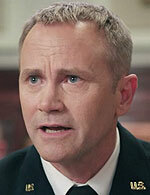 He is questioned by one of the main characters, Sen. Louis Laffer (actor Matt Malloy), who seems to be the show's prime target for being put into humiliating circumstances. Laffer, a conservative, Mormon senator from Nevada, asks Col. Drake "Are you a man who thinks he's a lady or a lady who's already been turned into a man? Very convincingly, I should add." Drake says he's neither: He's a gay man. Laffer is flummoxed. Sen. Laffer invites Col. Drake to a briefing at the Capitol because it turns out that Drake is also the Pentagon's leading expert on Al Quaeda in Central Africa. For some reason, Sen. Laffer wants to know about this. 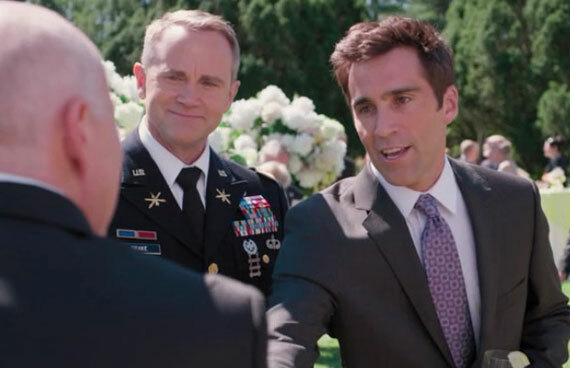 It's becoming clear that the senator might be harboring a crush on the colonel! While they are at breakfast, a gunshot is heard (related to another story line), and a shelter-in-place order goes out. Col. Drake and Sen. Laffer shelter in a storage room (closet?). While they wait out the lock-down, Col. Drake notices the senator is shivering and so offers him his coat -- very chivalrous. Sen. Laffer notices all the service ribbons on the coat and asks about the Purple Heart. 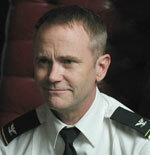 In the course of explaining how he got it, Col. Drake reveals he has a boyfriend. Which also prompts him to tell Sen. Laffer that he's not available. Laffer, again, is flummoxed. This episode takes place on the wedding day of Sen. Laffer's aide, Julie, and her girlfriend, Katherine. To Sen. Laffer's surprise, Col. Drake arrives with a "plus one." When Col. Drake introduces the man as his "friend," the man comments that he just got a field demotion -- he used to be "boyfriend." He proceeds to tell the senator that Col. Drake has been talking non-stop about "Senator Laffer this, Senator Laffer that," since they had their "famous breakfast together." Sen. Laffer is, of course, flummoxed. He gazes at Col. Drake, and the two make eye contact. Mrs. Laffer notices. Later, Sen. Laffer tells his colleagues how his life had just been turned upside down. But it's the last show of the season, and it's just one of many cliffhangers!